The Phone Co-op, based in Chipping Norton and Manchester, has won the Best Consumer Facing award at the UK Social Enterprise Awards. The national competition recognises excellence and outstanding achievements by social enterprises – businesses that reinvest their profits for good, benefitting people and planet. The UK now has more than 70,000 social enterprises, contributing more than £24 billion to the economy each year. The Phone Co-op is a consumer co-operative that exists to serve its members, and inspire others with an alternative, better model for business and the economy. It is the UK’s only telecommunications co-operative, procuring fixed and mobile telecommunications services on behalf of its customers, many of whom are also social enterprises. The Phone Co-op set up its Co-operative and Social Economy Development Fund to support the growth and development of other co-ops and social enterprises around the country. The fund is the main focus for its contribution to the community. For example, The Phone Co-op has loaned HCT, the social enterprise bus operator, £500K as part of their recently raised £10m funding. This funding, from a variety of social lenders, means a new record for a social enterprise investment in the UK. HCT uses the profits from its commercial work to provide community transport services, training, and community projects. Since its incorporation in 1982, HCT Group has grown to be a large scale social enterprise providing over 20 million passenger trips a year, with around 1000 employees, ten depots spread across London, Yorkshire, the Southwest and the Channel Islands, a fleet of over 500 vehicles and a 2014/15 turnover of £45.4M. The Phone Co-op is a strong supporter of public transport with over 91% of its business miles undertaken by public transport. “We are happy to be using surplus capital to support another social enterprise that is providing public transport, something we actively try to use, and with an organisation that shares our values. We see social enterprises co-supporting each other in this way as an example of the type of alternative economy we’d like to encourage and grow.” said Vivian Woodell, Chief Executive of The Phone Co-op. The Phone Co-op regularly supports social enterprise organisations by using funds set aside in a Co-operative & Social Economy Fund or with cash not immediately required by The Phone Co-op. These planned commitments are made to organisations with aligned values. The annual celebration of UK social enterprise was hosted by Scottish comedian and actress, Susan Calman, who entertained guests along with quirky songwriter and performer Lorraine Bowen of Britain’s Got Talent fame. Winners were presented with bespoke trophies made by the Yorkshire based social enterprise, Henshaws Arts & Crafts, which supports people with disabilities. Social enterprises supplied all the goods and services on the night, including the catering, drinks and flower displays. The Awards are organised by Social Enterprise UK, the national trade body for social enterprise. 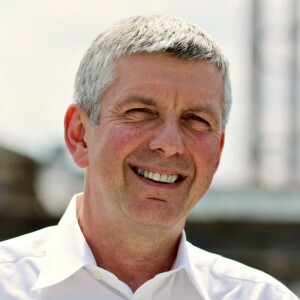 Peter Holbrook CBE, Social Enterprise UK’s Chief Executive, said: “Social enterprises are needed more than ever to tackle the social and environmental problems facing Britain. Congratulations to The Phone Co-op – the competition was fierce.